Birthdays are pretty frequent occurrence at our house, with 7 birthdays in 7 different months. 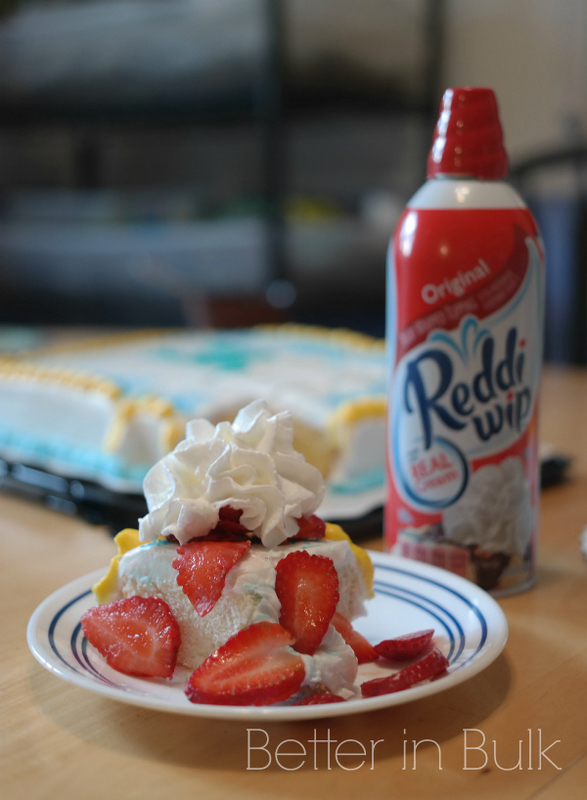 I was excited participate in the Reddi-wip #PartyReddi campaign, because who doesn’t love an excuse to celebrate a birthday? Although I have been compensated, all opinions are my own. Last month, when the family was driving back across the country towards home after our 6-week-long road trip, my husband turned 43. Because we were literally on our last stretch back home, we couldn’t buy a cake and I didn’t even have a chance to wrap any presents. By the time we pulled into our neighborhood, we were all too wiped out to even sing happy birthday. The next morning, we woke up early to start a new school year, and we’ve been moving at a fast pace ever since. His birthday was passed over and I have been feeling horrible about it. So this week, we did a birthday do-over. Everyone deserves a special day…even if it’s not on their special day. 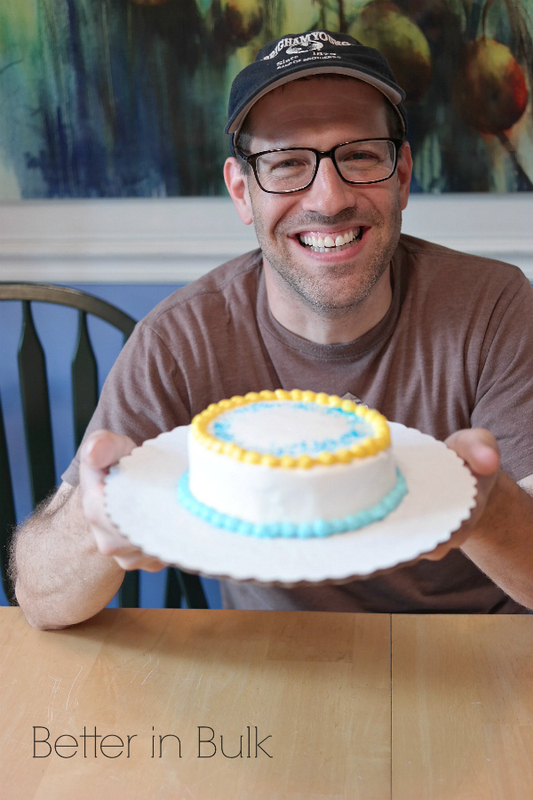 Birthdays in our house always include a cake. They start out with presents in the morning, lots of picture opps, and they usually include a meal out. When the kids have a birthday on a school day, I pick them up for a lunch date, just the two of us. I think I enjoy our birthday dates just as much as they do (my kids birthdays are pretty big days in MY life, after all!). I wanted to make sure that we didn’t forget our August birthday, so I started making some plans. When I was doing my grocery shopping at Walmart this week, I ordered a cake from the bakery and was thrilled to learn that the Walmart bakery offers free smash cakes with a $14.98 bakery purchase. Although smash cakes are traditionally a 1st birthday thing, I thought it would be fun to have a little smash cake just for the birthday boy, even if he wasn’t up for shoving his face in the cake. 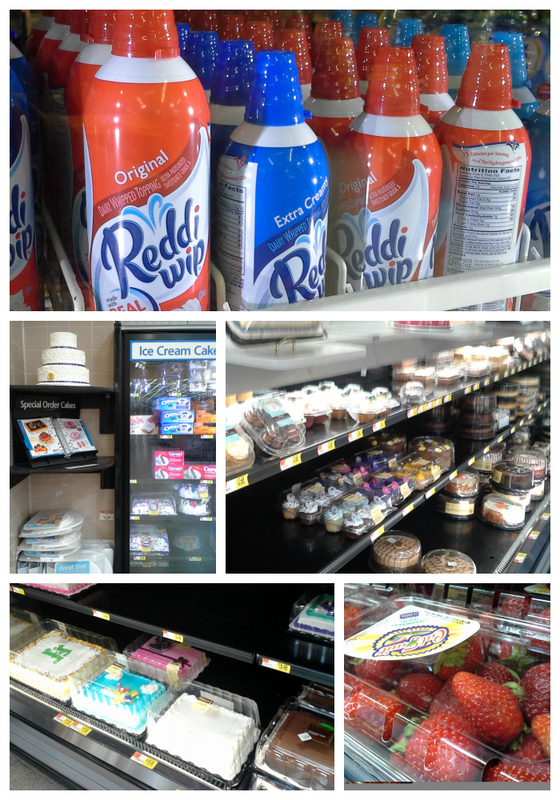 To make the birthday celebration even more special, I picked up some Reddi-wip whipped cream and some fresh strawberries. I love adding fresh berries to cakes, and Walmart makes it so easy to get extra party supplies and foods since they’re all in the same place. No need to run all over town to pick up the bakery items, the balloons, the wrapping paper, and the grocery items at different stops. Smash Cakes: Walmart has free smash cakes with a $14.98 bakery minimum purchase. It can be any combination of cakes, cupcakes, and cupcake cakes. Angel Food Cake: Angel Food cake is one of my favorite types of cake. It’s light and sweet, and perfect when topped with strawberries and whipped cream. Helium Balloons: Walmart fills Latex balloons for 50 cents (per balloon). Walmart also sells Mylar balloons at various prices (filled for free). 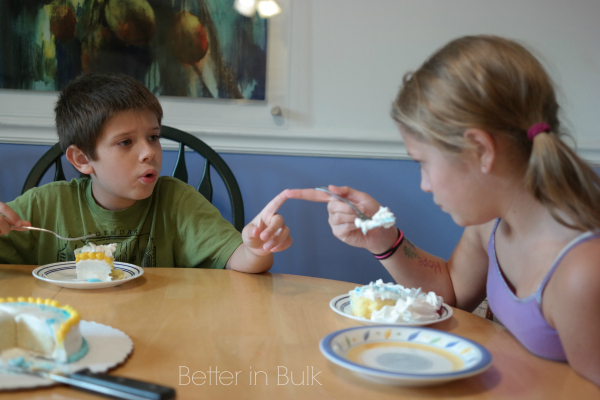 Reddi-wip: Cake is always better with whipped cream! Walmart is offering a $1 off of 2 Reddi-wip cans with this coupon. 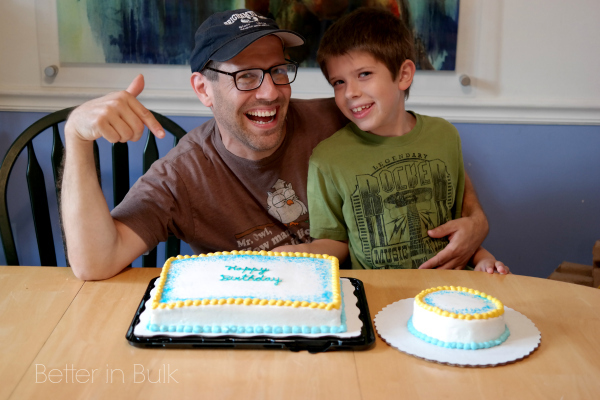 How do you celebrate birthdays in your family? Do you go all out and plan a big party or do you keep it quiet and simple and bring the party to your house? We either go out for a nice family dinner or we have a small gathering at the house for Birthdays, with just a few family members. Happy late Birthday to your husband. so sweet you still gave him his special day, he looks happy! I knew Walmart did the free smash cake but thought it was only for the first year birthday, this is good to know. Thanks! 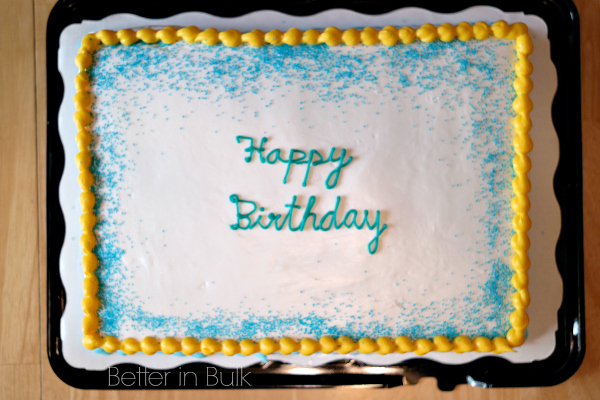 Yeah, the smash cake is typically geared towards the 1st birthday, but Walmart bakery doesn’t care/ask. Yes, everyone definitely deserves a special day! Those cakes look delicious! 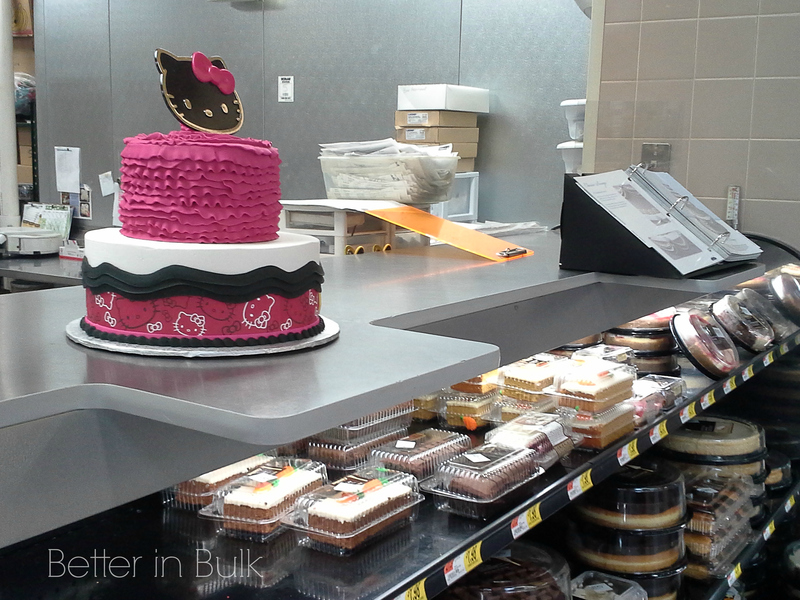 That’s neat that walmart offers a free smash cake with purchase, I didn’t know that. You have had a crazy couple of months. I like the idea of the lunch date, how sweet.